This is part one of a three-part series I will write on how to monitor, manage and measure social media. I have discussed best practices for each of these processes in previous posts. However, after receiving a comment on LinkedIn, I realized that I neglected to dive into any of these subjects in great detail. I hope this short series will help social-media newcomers grasp not only the basic concepts required for each of these areas of community management, but also provide the most modern tools and techniques so they can be more effective in marketing their businesses on these channels. Social-media monitoring has often been compared to attempting to drink from a fire hose. This description is an accurate one, but these days I’d argue monitoring social media is more like trying to drink from Niagara Falls because businesses and individuals alike bombard social media channels every second with updates about everything from their day-to-day activities to new blog posts, articles and whitepapers. It can be overwhelming; it seems sometimes as if all the Tweets, posts and Facebook and LinkedIn status updates will wash you away. You must abridge the flow in order to siphon relevant information and keep on top of your monitoring efforts. There are a number of free tools that will help you do this, but you must understand how they work together to optimize their faculties. Planning your approach should consist of three stages: Choosing the right tools, using these tools to siphon the right information, and determining a method for absorbing the content and making sense of it. This is a popular tool that allows you to monitor multiple accounts including Twitter, Facebook, LinkedIn, Foursquare, WordPress and MySpace. Hootsuite allows you to track click-throughs, time updates, monitor mentions and assign tasks among team members. It also acts as a management tool, allowing you to update multiple accounts at once, and has recently expanded into measurement with Hootsuite analytics. This is the tool I mainly use to manage my accounts because of its intuitive interface and extensibility. 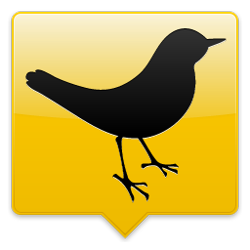 This is a great tool for Twitter because it works on your desktop, saving you the step of having to go to a website each time you need to check updates. I employ TweetDeck to receive instant updates of mentions, which pop up automatically on my desktop, so I can respond immediately to inquiries, concerns and advocacy. This tool offers useful influence-tracking features including reach, sentiment, passion and strength. It trumps Hootsuite’s monitoring service in that it also tracks updates on blogs and their comments, news, images, video and audio. Searches can also be saved as an RSS feed, making it easy to keep track of updates. Social Mention also allows you to set up alerts similar to Google but specifically for social media, where you receive daily email alerts of your brand, company, CEO, marketing campaign, or on a developing news story, a competitor or other high profile individual. It also offers a “real-time buzz” widget so you can display buzz on your website. This tool is a real-time search engine for Facebook and Twitter. Simply enter a search term, be that a keyword, business or person, and Kurrently will produce all mentions and shares from these channels. It trumps Hootsuite and TweetDeck in that it displays shares beyond the first degree. For instance, if your blog post is retweeted by someone, you would receive the notification in Hootsuite. However, Kurrently will find your shared content even if someone shares it from a secondary source and eliminates your handle. This is a great tool to keep track of legitimate Twitter connections. 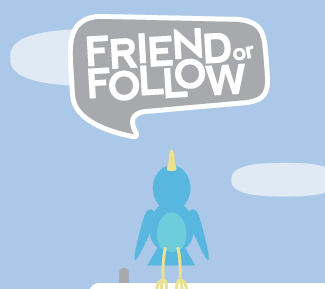 It is an unfortunate common practice on Twitter for users to follow another user simply to receive a follow back and then promptly unfollow. It is a downfall of Twitter, in my opinion, that it alerts you when you receive a follower, but neglects to alert you when someone unfollows you. This tool does this job for you, in that you can see who followed you temporarily. 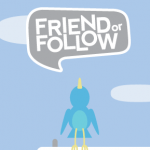 For instance, when Twitter alerts you that someone is following you, and you follow back, you can consult this tool a few days later to see if that person is still following you. This tool also tells you your Twitter friends and fans. I classify this as a monitoring tool because connections can be forged and broken at a rapid pace in social media and it should be a primary goal to monitor connections, forge true relationships and maintain them. The second stage is to siphon the information you need from these tools. Some tools, such as Hootsuite, TweetDeck and Social Mention, allow you to customize search terms for ongoing monitoring. In Hootsuite and TweetDeck, you should set up streams for keywords related to your business, including important individuals, products, services and other industry terms. Monitoring your streams regularly will allow you to determine which ones are the most active and useful, which will help you streamline your approach to focus only on the most informative search terms. Create a list of the most active search terms and monitor them regularly through each of your tools. Depending on the size of your business, you may still feel overwhelmed at the amount of information coming through your streams and through search results. The third stage is determining a method of absorbing the content and making sense of it. My first recommendation is to appoint a community manager either internal or external to your business to ensure these channels are monitored on an ongoing basis. Every mention that you receive needs to be categorized. For example, you will need to decide which mentions are short-term, requiring only quick responses, or long-term, which could provide actionable insight and therefore should be documented. Mentions also need to be categorized as “high priority,” medium priority” and “low priority” and should be addressed in that order. Monitoring requires ongoing active listening and social analysis. The community manager must constantly be aware of things such as the tone of a mention (sarcastic, passive, neutral, light, passionate or urgent) intention, influence and legitimacy and must classify each mention to draft the best response. Next week, I will discuss the role of the community manager and effective methods you can employ to manage the information pulled through your monitoring activities. Was this post helpful? Is there any information I can provide that was not yet addressed? What did I miss? Have you any additional suggestions to offer?